Pune-based Force Motors has bagged an order for supplying Light Strike Vehicles (LSVs) to the Indian Army. Force Motors has managed to get this order in spite of stiff competition from some well-established manufacturers. The Force Motors’ Light Strike Vehicle is a totally indigenous product that has been designed and developed by the company’s R&D team. The Force Gurkha-based LSV will be used for various military activities by our Forces. Commenting on the latest development, a spokesperson from Force Motors, said, “We are happy that the Indian Army has reposed trust in the fully indigenous Light Strike Vehicle developed by our research and development team. This is a small but significant step in creating fully indigenous specialist vehicles for the Armed Forces – a truly ‘Make in India’ initiative”. The Force Motors LSV Prototypes were judged as the winners of many rigorous trials that were conducted by the Army for over two years. These trials took place in tough and rough terrains ranging from the hot deserts of Rajasthan, where temperatures soar up to 50⁰C, to the freezing Himalayas, where the temperatures can drop to even -30⁰C. 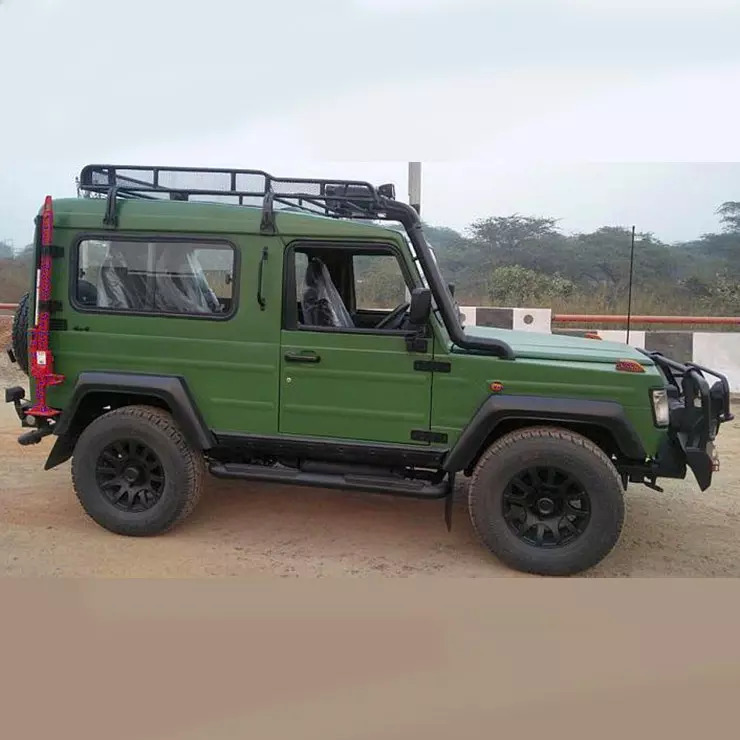 The Gurkha-based LSV from Force Motors offers quick ingress and egress. The vehicle is capable of carrying out various military activities on extreme terrains. Similar to the regular Gurkha, the LSV provides a 4×4 mechanism along with differential locks on all wheels. It is equipped with run-flat tyres and even comes with a mount for a rocket launcher and machine guns. Force Motors has been associated with the Indian Army for a long time now. The Pune-based company, popular for its Trax UV and Gurkha lifestyle SUV, has supplied our Army with new engines for the 155mm Howitzer Gun. Moreover, Force-developed engines for the new Dhanush Gun are currently being tested by the Army. Dhanush Guns are expected to replace the Bofors guns in the near future.